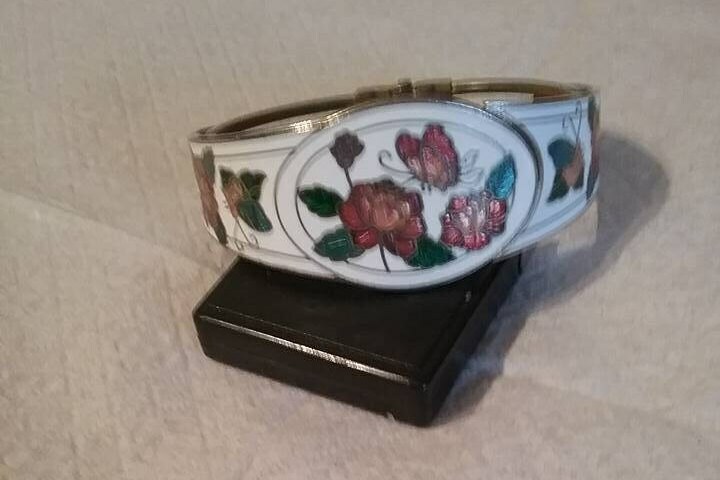 Butterfly and floral enamel cloisonne bracelet. 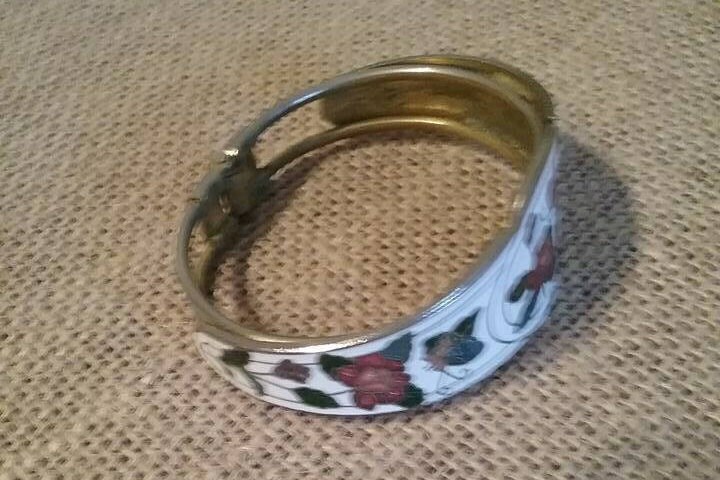 A stunning hinged clamped vintage cuff. 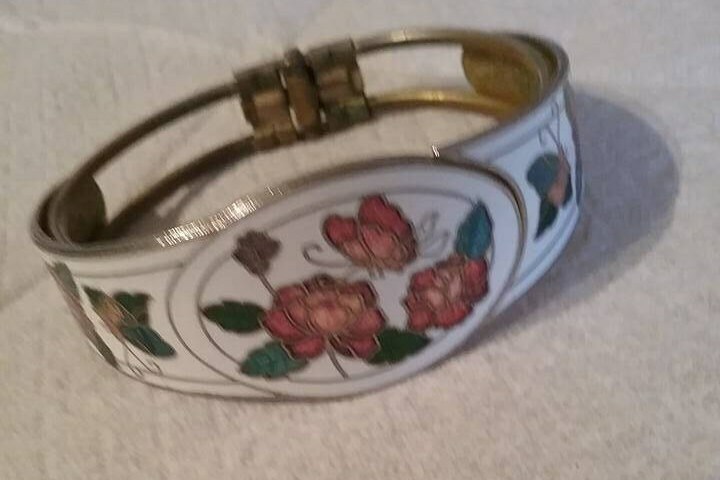 Enamel and silver plated. Excellent vintage condition.